If you own one or several rental properties or you are a real estate broker or agent, finding qualified workers to take care of home repairs and maintenance or to recommend to clients can be tough. Calling around to get someone to take care of a repair or to handle a long list of needed work can be frustrating and can lead to time wasted that could be better spent. At our Minnesota full-service handyman company, one call does it all. As a landlord, when a tenant calls about an issue that needs quick attention, just call us for fast, professional service that is affordable and reliable. If you’re a realtor or broker, you know that taking care of issues with a home you’re listing means a faster sale at a better price. Recommend us to your clients and we’ll handle all of those issues fast, so the home sells quickly and at the best possible price. Rental Property Maintenance & Repair – When a tenant calls with a repair or maintenance request, just call us. We’ll handle any job quickly with fully qualified electricians, plumbers, heating and cooling technicians and other professionals, and at a price that makes sense for your bottom line. We’ll provide you with an accurate cost estimate, and coordinate with you on every aspect of the job. We handle emergency calls, too, as needed. 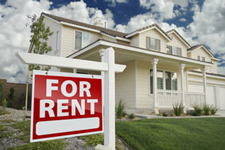 Rental Property Tenant Turnover Services – A vacant property is an expensive property. Call us whenever a tenant is leaving for fast, affordable turnover cleaning and repair services. Our trusted, reliable team will get in, get the job done, and get your property ready to show to new tenants. Accurate cost estimates, top-quality work, and maximum efficiency are our specialties. Rental Property Damage Repairs – If the worst happens, and a tenant damages your rental property after an eviction or before leaving, call our full-service home repair company. We can put your property back into shape quickly at an affordable cost. From drywall repair, window repair and painting to complete electrical and plumbing repair services we’ll make your property ready to show to prospective tenants quickly and affordably. New Property Acquisitions – If you’ve purchased a rental home that is in need of rehabilitation or repairs, HandyQuick is your ideal partner for making it ready to rent. Let us act as your remodeling contractor, and will put our team of skilled professionals to work, turning the property around fast at a price that makes sense. Newly Listed Homes for Sale – Our Minnesota handyman service helps real estate brokers and listing agents by providing a one-call solution for all of the work needed to maximize the salability of any home. Recommend us to owners of homes you list, and you’re assured of top-quality service and on-time performance. Our courteous, respectful, and efficient team of professionals easily gains the trust and respect of owners and delivers the top-quality work that makes any home more salable. The result is a faster sale at a higher price. As a landlord or real estate professional, your time is valuable, and our complete menu of repair and maintenance services is dedicated to helping you save time and to provide your tenants and clients the top-quality, cost-effective service that reflects your own professionalism. Our pricing is always highly competitive and our service is always superlative. Call us to discuss your home repair and maintenance needs and to establish a professional relationship with us that assures you of fast, high-quality work whenever you need it. One call does it ALL!